We believe that our unique and collaborative treatment approach helps to support your vision of health that is attainable and sustainable. To us, health and well-being is a state of vitality that allows you to live your life to its fullest. 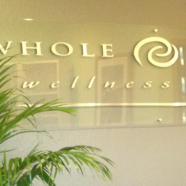 We provide ‘whole’ care, integrating mind/body/spirit approach to your healthcare. We incorporate a unique blend of options and techniques that best fit you as an individual. We offer on- or off-site bloodwork, functional testing, naturopathic medicine, acupuncture, manual therapy, nutritional therapy, and other modalities. We are a team of naturopathic doctors, acupuncturists, and nutritional therapists. At our Portland naturopathic and acupuncture clinic, we are dedicated to contributing to a change in the healthcare model by treating the root cause of disease, while fostering harmony, health and healing of our families, our community and our planet.